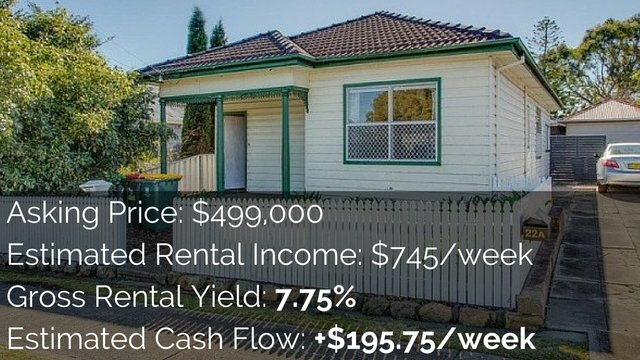 Owner finance is an extremely popular way of purchasing property in the USA but a lot of people want to know how to create a positive cash flow by using owner finance in Australia. Owner financing can be a great method of turning any property into a positive cash flow investment and it is well worth taking your time learning about it. This blog post will teach you the fundamentals to how you can generate yourself a positive cash flow PASSIVE income through owner finance. Firstly What Is Owner Finance? To explain it simply, owner finance is when the seller/owner (not the bank) provides the buyer with a loan to purchase a property. Believe it or not but legally you are allowed to borrow money from the seller in order to purchase a home and this can be a very lucrative way of generating a positive cash flow. How Can Owner Finance Create A Positive Cash Flow? Generally speaking owner’s can make a lot of money by selling their properties on owner financing terms. This is because generally the sale will attract people who have a bad credit rating or for some reason cannot get a loan with the bank. These people are often willing to pay higher than average prices and a higher than average interest rate to get into the real estate market and buy themselves a house. How it works is like this. Let’s say median houses in a certain area are worth $300,000. You go out and you purchase a median house for $300,000. You then list your property for sale by owner finance and even though the property is only worth $300,000 to the general market you will often be able to sell if for a little more than market value. Often owners offering finance add 10-20% (or more) onto the purchase price. So the seller makes money by selling the property for a higher value on their terms. Also sellers make money through owner financing by charging a higher than average interest rate. The seller will often add 2-3% on to the interest rate of average interest rate. So if the seller is being charged 7% interest by the banks, they might charge the new buyer 9-10% interest on the property. Say you are the seller and you bought that median home we were just talking about for $300,000 and paid a 20% ($60,000) deposit and assumed an 80% mortgage with the bank (we will ignore buying/selling costs to make this example easier). You would then assume a $240,000 loan with the bank at 7% ($300,000 – $60,000) over 25 years. You would then be paying $1696.27/month in interest. You then sell the property for a conservative 10% above market value, $330,000. The buyer gives you a 10% deposit ($33,000) and assumes a loan of $297,000 at a conservative 9% interest over 25 years. They would then be paying $2492.41/month in interest repayments to you. $2492.21 – $1696.27 = $795.94/month (or $9551.28/year). PASSIVE INCOME!!! As home ownership costs (such as water, rates, maintenance) are passed on the to new owner you don’t have to worry about them. You simply have to add them to the monthly repayments the new buyer owes you. This specific example (although simplified) would generate you a 35% cash on cash return before you take into account other expenses. An owner financing deal is called a wrap when the owner has purchased the property on a loan. It is called a wrap because they are wrapping one mortgage (the mortgage with the new buyer) over another mortgage (their existing mortgage with the bank/lender). There are no ‘catches’ to speak of when it comes to creating a positive cash flow by using owner finance. Owner finance is very common and isn’t a ‘get rich quick scheme’. If the owner ruins the house and then leaves, refusing to make any more repayments then you are left with the problem. Ultimately you still own the title to the home until the final payment is made. Fortunately you can avoid a lot of problems by asking for as much ‘hurt money’ as possible as a deposit. Hurt money is money that they buyer needs to save themselves and doesn’t include things like the first home owners grant that they don’t have to scrimp and save for. The bigger the deposit the less likely they will leave the house when a problem comes up (as they have more invested in the property and don’t want to lose it) and also in the case that they do leave and you are left with the property, then you can legally keep their deposit. So the bigger the deposit the biggest the buffer fund in your worst case scenario. NOTE: As you maintain the title deeds until the final payment is made you should think about keeping insurance in your name (and having the new owner pay for it). Because if you leave insurance up to the responsibility of your buyer they may not pay their insurance and then if the house burns down they can run away and all you will be left with is a block of land and an expensive mess to clean up. ALSO: Rates will likely stay in your name also, you need to include these either into your new buyer’s monthly repayments or as a lump sum they need to pay when they are due. If your buyer refuses to make payments then you will be able to reclaim the house from them, but you might never get another dime out of them. You need to be aware that if they are late on their payments or they don’t make their payments then you are still responsible to pay your own mortgage on the property. This can cause a major cash flow problem if you can afford these repayments. The sting of these payments can often be avoided by keeping a “buffer fund”. By saving 1-3 months of mortgage repayments (or more) this gives you time to chase up your buyer’s payments or to work out alternative arrangements if you do go a while without receiving any payments from your buyer. If the buyer does leave and fail to make payments you can reclaim the home and keep their deposit. By this time the property has probably gone up in value so you could resell it (under owner finance again) for a higher price and make even more money! So this negative can be a huge positive if you approach it properly. Some lenders may not allow you to ‘wrap’ another mortgage on top of theirs, though I believe in most cases if you approach it right then it should be possible. Talk to your bank or a mortgage broker about the possibility of on selling using owner finance. Worst case scenario would probably be that you would have to refinance and pay some fees to close out your current mortgage, then you could move loans to a lender who will let you create a wrap. But refinancing before selling via owner finance can be a good idea because it can set you up to receive maximum cash flow from the deal. If it takes you time to find a buyer then you will have to pay the interest repayments yourself until you do find a buyer. This can put a huge amount of stress on the sale. The first sale by owner finance is the scariest and then it gets easier from there. To avoid this you can use multiple advertising strategies. List the property in the classifieds in your local newspaper and city newspaper. Put a sign up out the front of the property and list the property online (domain.com.au, homehound.com.au, gumtree.com.au and any other property site you can find). You could even do flyer drops if you start getting really desperate. The more advertising you the more inquiries you will likely get. So if you struggle to get people interested go hard on the advertising and explain your proposition as best you can in your ads. If you find buyers really can’t afford your property on owner finance then you may want to consider dropping the price a little or dropping the interest rate you are charging. It is often better to make a little bit on the property instead of losing a whole bunch of money. No need to get greedy because there will always be other deals where you can make more money. You can also avoid this by buying the right property in the right area that can easily be sold through owner financing. Properties in the median price range of the market often have the largest amount of potential buyers, and properties that are in good condition (livable) can also be easier to sell. So buy right if you are intending to sell via owner finance. If you have already bought and now need to turn your negative cash flow nightmare into a positive cash flow dream, then advertise as best you can and provide your buyers with a good price on good terms and 99% of the time you have a good chance of finding the perfect buyer. This is only a problem if you fix your buyer in at a certain interest rate. Say you are paying 7% and you fix your buyer’s interest rate at 9%. What happens if interest rates go up to 10%? Then you could be stuck paying more interest to the bank than your buyer is paying you! Then you are just going backwards. Firstly, you can make their interest rate variable. You can make it variable based on your interest rate (always 2% higher than yours) or you can make it variable based on some sort of standard measurement of interest rates. This way if interest rates go up then you will still be able to cover the difference and if interest rates go down then you will be paying less and so will your buyer. Secondly, you can fix your interest rate so that it never changes and fix your buyer’s interest rate also. This way you will know exactly what you will be paying and exactly what they will be paying every month. It is good to be careful with this because some lender’s will not let you pay anything extra off a fixed loan (if you want to pay it down quicker than originally allocated) and there can be extra fees for paying the loan off in full before the allocated date (for example if your buyer refinances with a bank and pays off your loan in full early). The last obvious negative is that you don’t get to keep the home for the long term and achieve capital gains on the property. 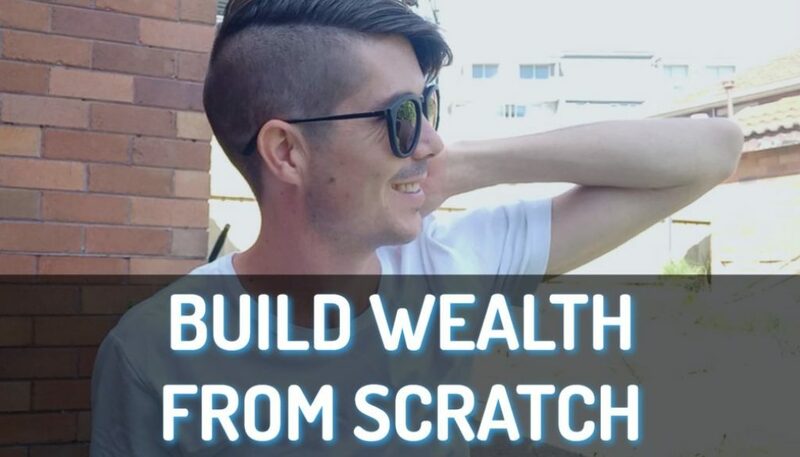 What you are doing is selling your property for higher than market value in the beginning and thus achieving a portion of your capital gains immediately…how many people get to do that??? The good thing is that with owner finance you can afford to service as many properties as you can manage to buy because they generate a positive cash flow. However, if you negatively gear for the purpose of achieving capital gains you can only afford to service a limited amount of properties. Thus you can often make more money selling by owner finance than you could make from capital gains…because you can purchase almost unlimited properties (if the banks will let you finance that many). Not really a negative because you are MAKING MONEY! Most people negatively gear and lose money in order to get a tax write-off. But you still have to lose a dollar to save 30 cents. Meaning you are still 70 cents out of pocket. If you owner finance then you are likely to be paying more tax because you are making more money. But wouldn’t you rather make $10,000 and pay $3,000 in tax (leaving you with $7,000 IN YOUR POCKET) than lose $10,000 and save $3,000 in tax (taking a total of $7,000 OUT OF YOUR POCKET)? What Are The Benefits of Using Owner Finance? We just went though the possible negatives of owner financing properties and as you can see most of them can be easily avoided, and if they can’t be avoided they can be easily fixed. There are a lot of benefits to using owner finance that you don’t receive with traditional ‘buy and hold’ investing. This is one of my favourite things about owner finance. You can turn almost any property anywhere in Australia into a positive cash flow machine, as long as you can find a buyer. 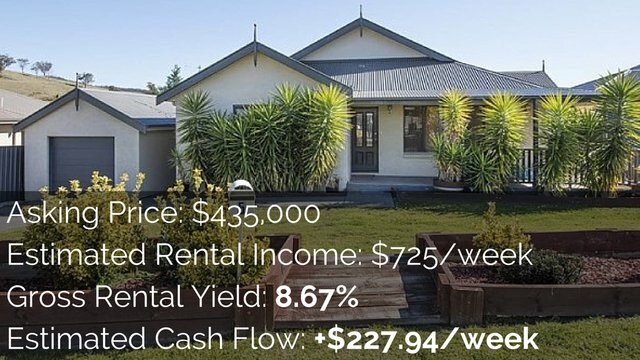 In simple ‘buy and hold’ investing, where you purchase a property and then rent it out, you require a high rental yield to be able to create a positive cash flow. Often you will require a 10% rental yield on the purchase price or higher to successfully generate a positive cash flow. You may have heard of Steve McKnight’s 11 second rule for determining whether a property is likely to be positive cash flow or not. I call it the ‘quick test’ and I have an online calculator you can use to easily crunch the numbers in this ‘test’. Just go to my Property Calculators page. In this day and age finding straight out positive cash flow properties can be like finding a needle in a haystack. Most positive cash flow needs to be created. You can work hard to create it by renovating, dual occupancy, subdivision, development or let the rent increase over time. But with owner finance you don’t have to do any of these things. Selling your property on owner finance can create a positive cash flow even in areas where rental yield is very small. This is because you are generating a positive cash flow based on your selling price and the interest rate you charge, not on rental yield. This is why almost any home can become a positive cash flow income stream. If you rent your property out then you as the landlord are required to pay your local council rates, maintenance on the property, the water service used by the tenants and any land tax that you may have to pay. This can really add up and can end up being a lot of expenses. The more expenses you are paying the less cash flow you are generating. When you sell your property via owner finance to generate a positive cash flow you are also on selling the expenses that come with the property. As the new owners of the property your buyers will be required to pay for all those home owner expenses, meaning it comes out of their pocket NOT yours. NOTE: In most cases until the last repayment is made the title remains in your name, meaning the council rates and other expenses will still be in your name. You simply have to get your buyer to either pay these by adding them onto their monthly repayments, or getting them to pay a lump sum for it to you each year. This is another great thing about selling through owner finance. So many so called ‘property gurus’ out there are screaming of the advantages of capital gains. They preach “property doubles every 7 to 10 years”, and it some cases it does and some cases it doesn’t. But who wants to wait 7-10 years before they can realise any of that gain? When selling through owner finance you are getting capital gains straight away. Because (in most cases) the market you are selling to cannot access traditional finance they are willing to pay more than the ‘market value’ for the property. You might not achieve ALL of the capital gains over time, but you can achieve some capital gains instantly. 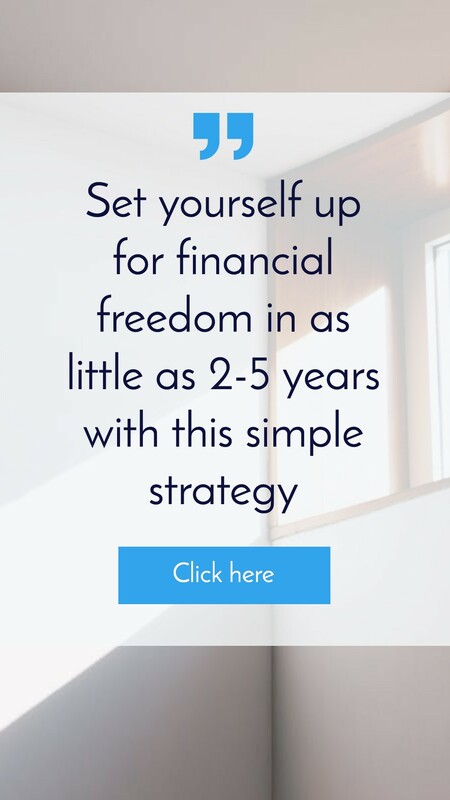 That means that you KNOW how much capital gains you are getting straight away and that can mean there is less RISK, because you don’t have to then rely on market speculation. Buy well when you first buy, and try to buy under market value and then it is easy for most people to generate a nice capital gains profit. This gap between what you paid and what the buyer pays for the property is one of the things that allows you to generate a positive cash flow. Along with a higher interest rate (to what you are paying) you can generate a pretty good income over time. The capital gains we talked about aren’t all realised straight away. Because you are selling on finance you don’t receive all the money straight away. You will get a deposit, which if you are smart at the selling stage should be a fair chunk of money, and then you will get repayments over time. The whole time this is happening you are generating a positive cash flow! However, if the buyer refinances after say 2-3 years with a traditional lender they can then pay you out and lower their expenses because the traditional lender’s interest rate is likely to be lower than the interest rate you are charging. This may seem like a bad thing, because you are missing out on years of repayments. But this can be quite the contrary. If they refinance you and pay you out then you get to realise your capital gains. If you bought a property for $300,000 and onsold it for $345,000. When they refinance and pay you out you will receive a bulk sum of money. You will receive the difference between what you owe your lender and what the buyer owed you. You can then take this money and reinvest it into another property and sell that via owner’s finance and generate an even higher profit. So as you can see refinancing can be a bonus! The title of the property remains in your name until the last repayment is made, or until they refinance and pay out your loan in a lump sum. This means that if something goes wrong and the buyer disappears you get the property back. If for some reason the buyer refuses to pay their repayments then you can legally take the property back from them. If this happens then you can keep their deposit and resell the house. Hopefully in this time the home has gone up in value and you can sell it for even more money, meaning you can generate for yourself an even larger positive cash flow. So even this horrible scenario isn’t horrible at all but can actually be very profitable. I almost left this one out simply because it slipped my mind. When selling your property agent fees can be EXPENSIVE! It can be anywhere from 1%-5% depending on your agent (around 2% seems to be normal here in Sydney), but that can be around $10,000 or more for average priced property. That is a lot of money out of your pocket! With owner finance you generally market and sell the property yourself (with legal and accounting help of course) so you don’t have to pay those nasty agent fees. If you are worried about have to market and sell your property through owner finance then don’t worry. I will create a blog post (soon) giving you ideas on how to do exactly that, so that it will be simple and easy. As you can see, selling a property by providing owner finance can be a very profitable venture and can create for you positive cash flow income that can either supplement your current income or (if large enough) completely replace your income so that you can achieve financial freedom. I have found the main things stopping people from moving forward and investing in property to generate a positive cash flow are the following four things. Lack of knowledge will hold anyone back, how can you be expected to do something without knowing how to do it? My advice is to educate yourself. 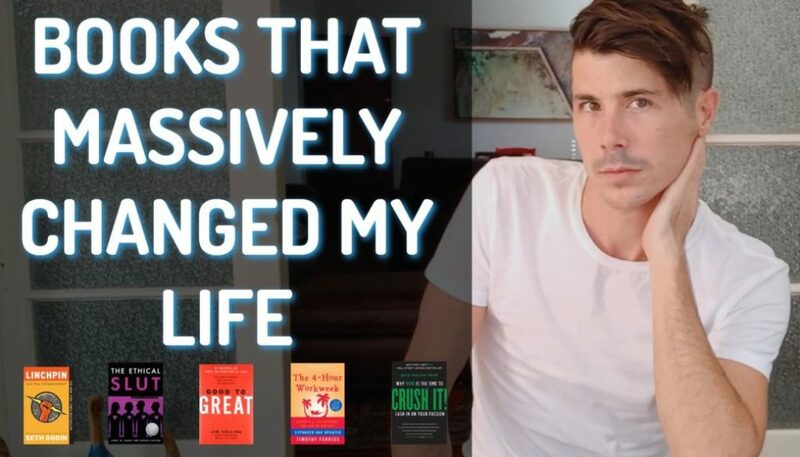 Read blogs (like this one), read books (see my recommended property books), get involved in forums and soak up all the information you can. Fear is the number one thing that will hold people back. The easiest way I have found to face your fears and win is to get around people who are on the same path, so you can encourage each other and to take small steps. Make offers on properties on the internet if you are too scared to call up or make an offer in person. Start small and work up the courage. You can have all the knowledge and courage in the world but if you are lacking in ability you won’t achieve much. Fortunately ability is learned through experience so get out there. Make offers, crunch numbers on properties (use our property calculators to help you) and get experience. Funnily enough, out of all four things stopping you, this is likely to be the smallest obstacle. Lack of knowledge, fear and lack of ability will hold you back more than a lack of capital. If this is your only issue then save up and start small. Most working Australians should be able to afford to buy a cheaper property and then sell it via owner finance. If you really can’t afford it look for partners who have money but a time poor and who you can split the profits with. I can teach you everything there is to know about owner finance but I can’t make you go out and invest. That decision is up to you. 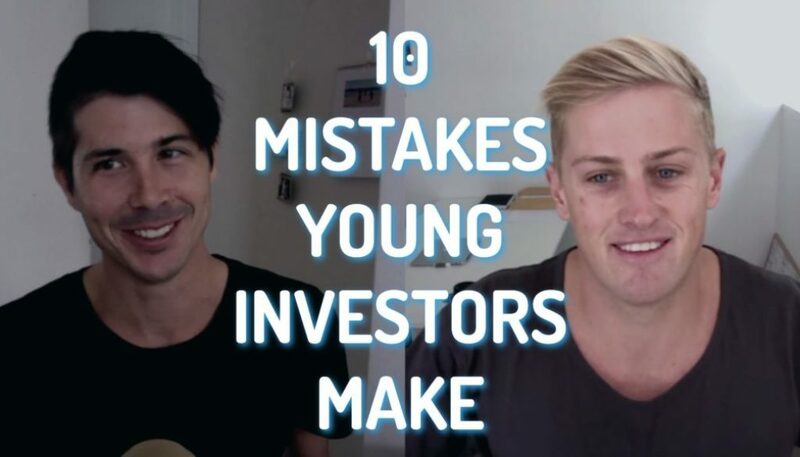 So go and get stuck into property investing. The smarter and more able you become the less money you will need to make a lot of money. Investing in property is easy (and creating a positive cash flow is easy) you just have to give it a go!